You can thank Henry Kissinger, the late President Richard M. Nixon and the economic advisors for the Nixon Administration for resetting America’s monetary standard and leading us into almost constant warfare in the Middle East. They also awarded us a growing financial crisis that may mean the downfall of the United States as we once knew it. Kissinger led the nation into this wild plan to quit the former gold standard for establishing the value of the dollar, and replaced it with an "oil standard." That’s something economics professors and high school history books don’t talk much about and few people are even aware of it. That's probably because it is a very complicated scheme and difficult to understand. Generally, the value of the American dollar is now based on the amount of oil the United States controls or has in reserve. It no longer has anything to do with the gold held in reserve at Fort Knox or under the Federal Reserve building in New York. And this may explain why we have been so quick to send troops into Iraq, Afghanistan and the other oil rich Middle Eastern countries. The objective has always been about the oil. It also may explain why the United States has been reluctant to support alternative energy sources even though they are readily available and researchers have warned that we hit "peak oil" in the world in sometime in the last decade. The whole financial picture is a complex maze of political wheeling and dealing that has been going on in the back rooms of various kingdoms and governments for years. We suspect the entire monetary system has been designed like this as a way of keeping the general public confused and ignorant about the world power plays that have been going on. There was a deal toward the end of World War II, when delegates from 44 nations gathered at Bretton Woods, New Hampshire and established the U. S. dollar as an international currency. This critical gathering known as the United Nations Monetary and Financial Conference, agreed that the dollar was the most stable currency. At the time every dollar was valued at one-thirty-fifth of an ounce of gold, and the gold was held by the U. S. Treasury. That was then, when America was just emerging from a world war as the most powerful nation on earth. We were sitting pretty with $30 billion in gold locked away at Fort Knox. Most world nations were happily trading in exchange for the U.S. dollar. Then came the Korean conflict followed by the Vietnam War. Wars cost a lot of money. The Vietnam War alone was estimated to have cost about $500 billion. And when President Lyndon B. Johnson came into power in the 1960s, his administration not only escalated the Vietnam conflict, but declared a second "war on poverty" and established his "Great Society" program. The treasury began printing more money to meet the financial demand, and the US quickly exceeded the value of the gold being held in reserve. Washington knew for years that the old "value in gold" had become unsustainable. What was to be done? Nixon, led on by Kissinger, established what is remembered as the "Nixon Shock." What they did was sever the Bretton Woods agreement for a gold standard and turn the US dollar into a floating currency as the Treasury continued to print more and more paper money. Thus there developed an artificial value of the dollar. Nixon’s plan was to replace the gold standard with something else of equal value . . . oil. 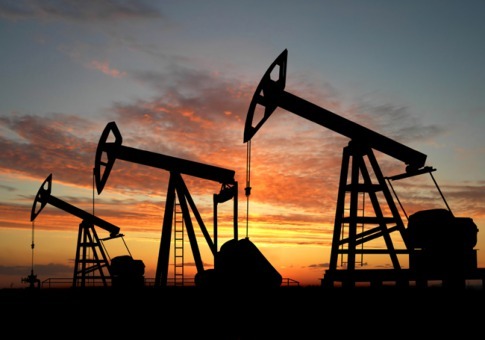 At that time Saudi Arabia was the world’s largest supplier of crude oil. In his meetings with the Saudi royal family, Kissinger sold them on a proposal. The United States agreed to provide the Saudis with weapons and also protection from Israel. In exchange, the Saudis agreed to price all of their oil in U.S. dollars only. The strategy here was interesting, and it worked. With the largest oil producing nation in the world committed to selling oil only in U. S. dollars, the value of the dollar on the world market rose to new heights. It created a global demand for the dollar. Soon most of the other oil producing nations joined Saudi Arabia, and were pricing their oil in dollars in exchange for arms and protection from Israel. Thus the world "Petrodollar" monetary system was born. The United States, the European nations and many other countries using the petrodollar system have consequently switched from gold to fiat money, which is a primary reason there is a growing economic crisis brewing. Fiat money is money that gets its value from government regulation. Throughout history, any country that attempted to use fiat money always fell to economic ruin. As a rule, the more popular the world’s reserve currency is relative to other currencies, the higher its exchange rate and the less competititve domestic exporting industries become. This in turn creates a trade deficit. The United States is now running the largest current account deficit in the world. This means that there are more imports of overseas goods than there are exports. In recent years, as conditions became worse, the Federal Reserve was forced to print more money to buy our own debt. This is called monetizing the debt. It is the cause of runaway inflation and the problem is compounding itself with each passing day. Meanwhile, gold has been increasing in value. Gold has been a major part of international currency exchange for thousands of years. It has been a stable commodity and thus the most successful foundation for establishing a stable value of money. Voltaire warned that paper money "eventually returns to its intrinsic value – zero." Thanks to Nixon and Kissinger, the United States now finds itself struggling against a growing financial crisis that may be impossible to solve. Richared Mills, president of Northern Venture Group, in a recent article for Resource Investor, noted that this is the first time in history that all financial currencies are fiat. "The US dollar used to be gold backed and it was the rock to which all of the world's currencies were anchored. When the US dollar became fiat, all the worlds currencies became fiat." Mills warned that "the history of fiat money has always been one of failure." He said "Most paper money economies downfall can be linked directly to the cost of financing out of control military growth and its wars." If Mills is right, Americans should be very worried. It appears that our political leadership has been leading us on a road to financial disaster. It all began with Nixon and our government has not chosen to change its course ever since.